In the meantime, both sides should ease off the bluster. The Democratic Party needs a top diplomat, right away, to get to the bottom of Datagate, and settle the dispute between the Democratic National Committee and the Bernie Sanders campaign pronto. 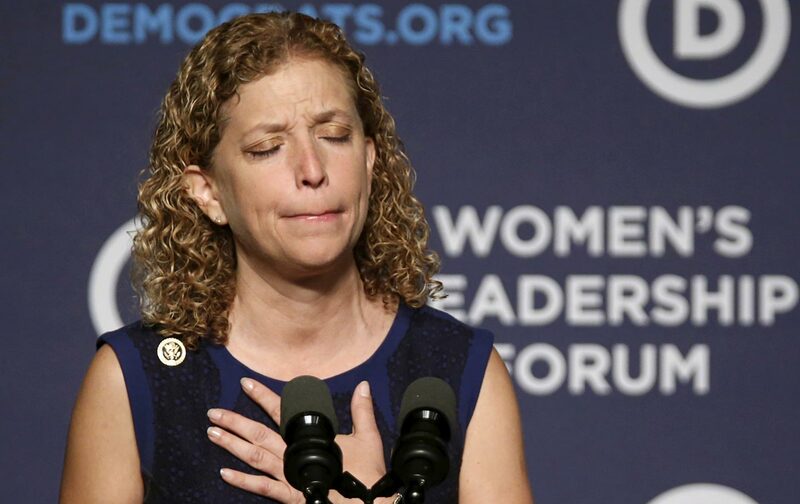 As has widely been reported, a data breach involving a DNC vendor allowed the Sanders camp to access voter information about the Hillary Clinton campaign, and the DNC has suspended the campaign’s access to the crucial data until it uncovers the extent of the problem. Where the Sanders folks first blamed the breach on a low-level staffer, it turned out to be the work of national data director Josh Uretsky. Uretsky told CNN he briefly looked at the Clinton data to ascertain the extent of the breach; other sources tell Bloomberg News and The New York Times that four different Sanders staffers, including Uretsky, conducted 25 searches of Clinton data, and saved multiple files. Clearly the DNC needs to get to the bottom of this, but chair Debbie Wasserman-Schultz did herself and her party no favors when she blasted the Vermont senator: “The Sanders campaign doesn’t have anything other than bluster,” she said. The chair, who backed Clinton in 2008, is already under fire for a truncated debate schedule that will have many of us leaving holiday parties to watch the next Democratic go-round at 7:30 on the Saturday before Christmas. She needs to investigate the breach, not inflame an already tense situation by snapping back at Sanders. There are mysteries here. Bloomberg is reporting that Sanders staffers conducted searches of Clinton data for 10 early-voting states, including Iowa and New Hampshire. The saved searches included New Hampshire lists showing “HFA [Hillary for America] Turnout 60-100” and “HFA Support 50-100,” as well as Iowa lists that showed Clinton support under 30 percent (areas that might yield high support for Sanders.) If such information was obtained by Sanders’s team, it provides an unfair advantage, since it reflects the work of Clinton’s more numerous canvassers in Iowa and New Hampshire. But vendor CEO Stu Trevelyan said Friday morning he didn’t believe either campaign had “access to or have retained any voter file data of any other clients.” Let’s hope that’s true, despite reporting to the contrary. The DNC better figure it out. This could get uglier, and the Saturday night debate, which is already threatened with a low audience, could turn into a sideshow. Whether it’s John Kerry or another Democratic diplomat, somebody needs to figure out what happened, make sure it can’t happen again, and restore the Sanders campaign’s access to its own data. Let’s leave the forming of circular firing squads to the GOP.